You can tell that there was tremendous effort put into this campaign, and it was well received. The campaign utilized a combination of several outbound components (post mailing, email series, video and thank-you postcards) and received a great response rate at 24.62 percent. 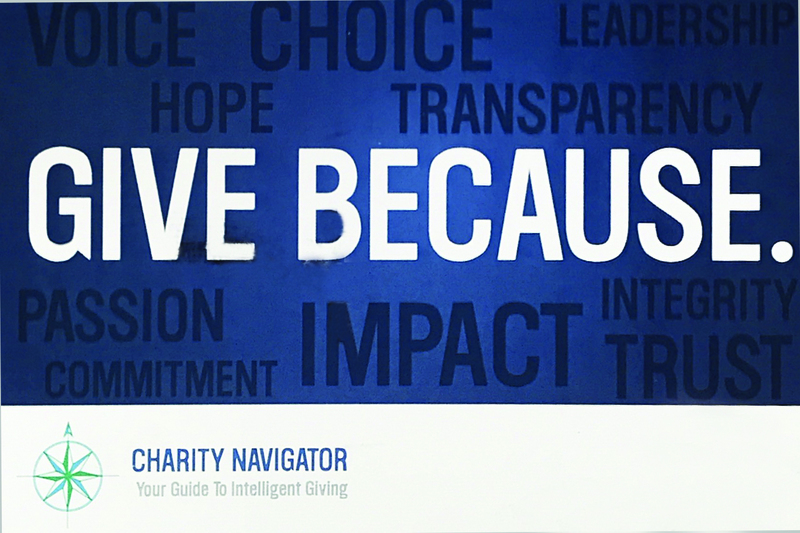 Charity Navigator sent out a total of four emails during the November 2016 time period, which included #GivingTuesday—the highest online revenue day in the organization’s history. 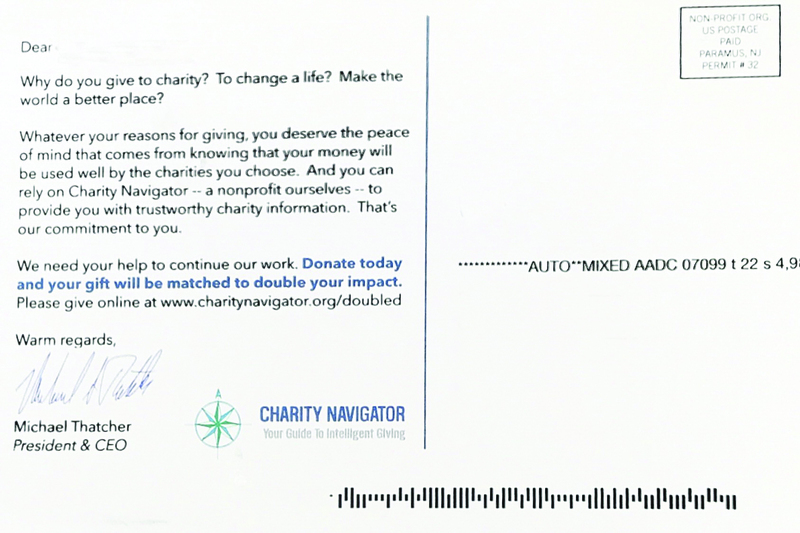 More importantly, with all of their outbound efforts to all of their recipients, their cost to raise a dollar was significantly low at under $0.10, but they managed to raise over half a million in this campaign. Impressive!